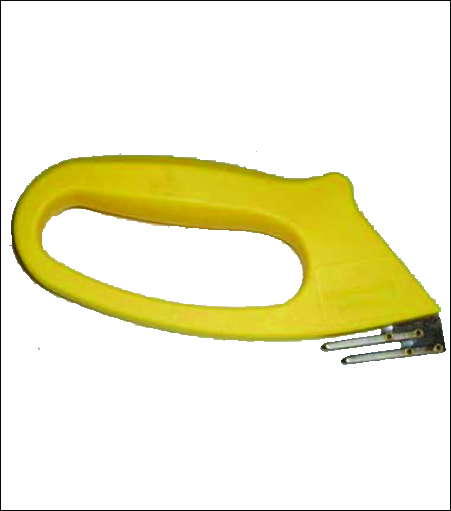 This handy flute knife cutter is something you absolutely need if you work with 4 mill corrugated PVC such as Coroplast®. You can cut along the flutes or score along the flutes to make a stand or cover. Every shop needs at least one! Our knife cutter is about half the cost of other cutters and has an angled blade that makes it easier for cutting full sheets.